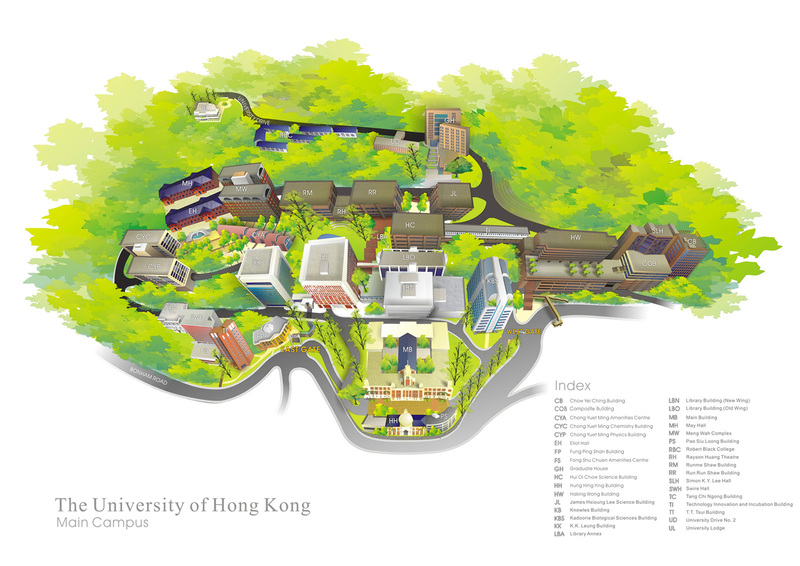 The Stephen Hui Geological Museum is located on the main campus of The University of Hong Kong in the James Hsioung Lee Science Building. From the East Gate take the stairs up to the public lift which brings you to the KK Leung Building level. 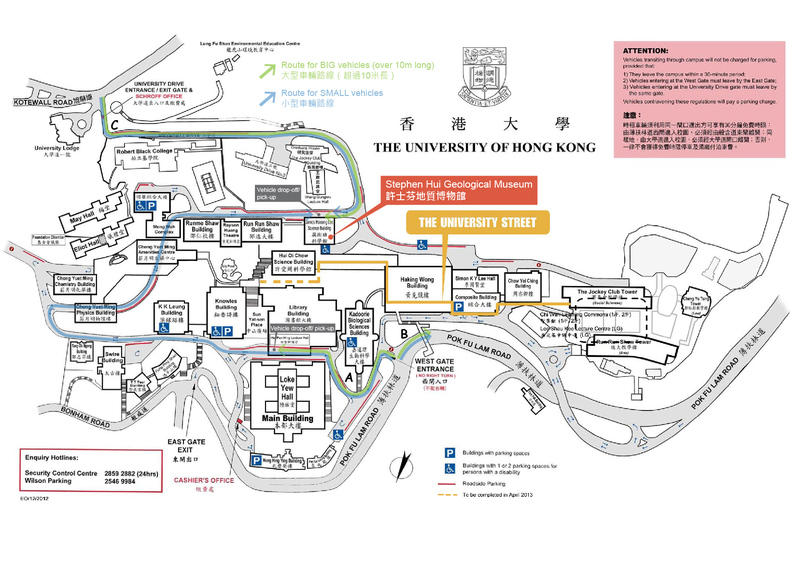 From there turn right and walk towards the HKU Main Library, then turn left up the Sun Yat Sen stairs. When reaching the Run Run Shaw Building level turn right to the James Lee Building. From the West Gate take the stairs up to the Haking Wong Podium and take the public lift up to the 5th Floor. Turn left and after passing the University Street turn right to the James Lee Science Building. 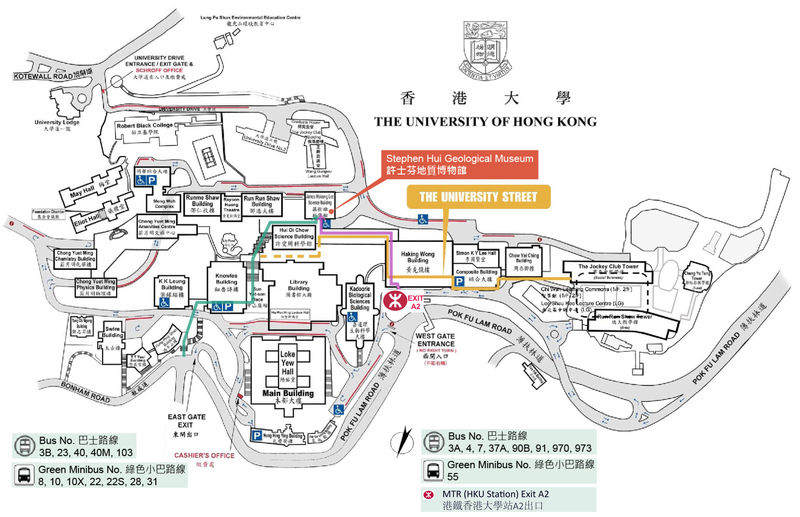 By taking the MTR Hong Kong Island Line, take the MTR lift at exit A of HKU Station up to the FB level. Turn left and after passing the University Street turn right to the James Lee Science Building. Vehicles stop at Library Extension Building and visitors walk up to James Lee Building. Note that small vehicles (shorter than 10m) may proceed further, passing by Library Extension Building and continuing uphills. Stop on the road between James Lee Building and Graduate House. Vehicles stop at the West Gate in front of the Haking Wong Building and visitors walk up the West Gate Route to James Lee Building. Vehicles, especially coaches longer than 10m wish to stop close to the Museum, enter the campus from Kotewall Road, and drives down University Drive and stops on the road between James Lee Building and Graduate House.